Making it right to our fans is a priority of the BB&T Atlanta Open. We thank everyone who purchased tickets and attended our Sunday, July 31 Gold Session. Though we presented a session of tennis and entertainment, we were all disappointed to see Sergi Bruguera get injured. While our BB&T Atlanta Open Ticket Policy states that all sales are final and that refunds or exchanges are not provided, and although injuries are an unfortunate part of the sports world, we want to try and make it right for you by providing a chance to come back to Atlantic Station and experience world class ATP Tour tennis. 2. Exchange your ticket for Opening Night 2017 at the same ticket level. Proof of purchase and attendance at the Sunday, July 31 evening session is required for redemption. 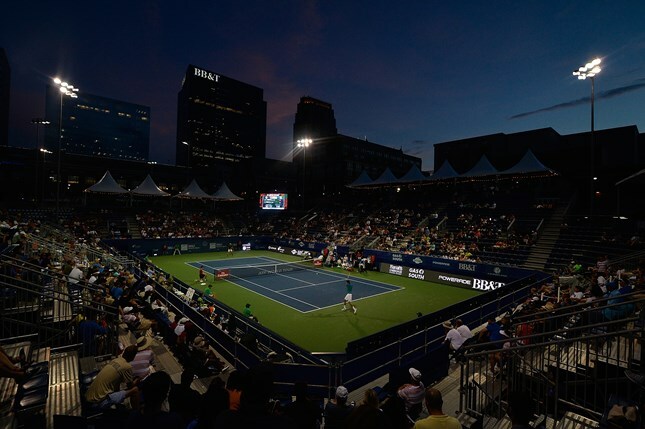 Contact the Box Office at tickets@bbtatlantaopen.com. BB&T Atlanta Open Tournament Management is pleased to provide these options, and we thank you for your continued support.